Good news for all those eligible candidates who are seeking entry to the largest province of Canada, Quebec as an investor or businessman! Let’s discuss about Quebec Immigration Process. The Quebec Immigrant Investor Program (QIIP) is the track that is especially created for the wishful migrants who wish to live, on a permanent basis, in the region. If you possess 1600, 000 Canadian Dollars and are ready to part with half of this amount for a period of 5 years, then you can successfully use this plan. Getting Quebec immigration is made easier through these 14 steps. Climb the ladder and reach your destination! b)-character certificate from the police. c) -A proof of the capital amount. Step 2- Get your credentials converted into English or French. Canadian immigration authorities will help you in getting a translator. Step 3-Take the help of a lawyer who will complete Canada application form and assemble all needful documents. Step 4- Sign your application form and assign the power of attorney to a law firm who will represent you. Step 5- Your lawyer will submit all the documents at the immigration, Quebec along with the fees of 15,000 Canadian Dollars. Step 6- The Quebec immigration process gets started from here when your application is put into the processing queue. You are given acknowledgement slip. Step 7- This step starts with the scrutiny of your application. Here your petition will be reviewed to check it fulfills the necessary conditions of the investor scheme. Steps 8-If your application meets the eligibility requirements, you are called for an interview. Step 9- After a successful interview, your application will be approved. Step 10- After getting approval for your application you have 110 days to send 800,000 Canadian Dollars. Step 11- When your funds are received successfully, then you gets a “Quebec selection certificate”. From this step onwards the processing of immigration takes place at the federal level. Step 12- Before proceeding your will be asked for medical examination. Step 13- You have successfully passed the medical exam and now proceed ahead with other visa formalities. Step 14- Yes! You have done it. Canada Business Visa will be all yours in a short while. Now since you know about the Quebec immigration process, what are you really waiting for? Go for the kill! Immigration Quebec for the Wealthy Aspirants–Check the Options! 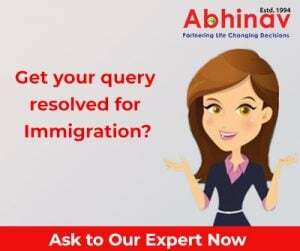 Learn About the Process of Migrating to Australia from India? What are the Canada PR Visa Requirements for Indian Citizens 2019?